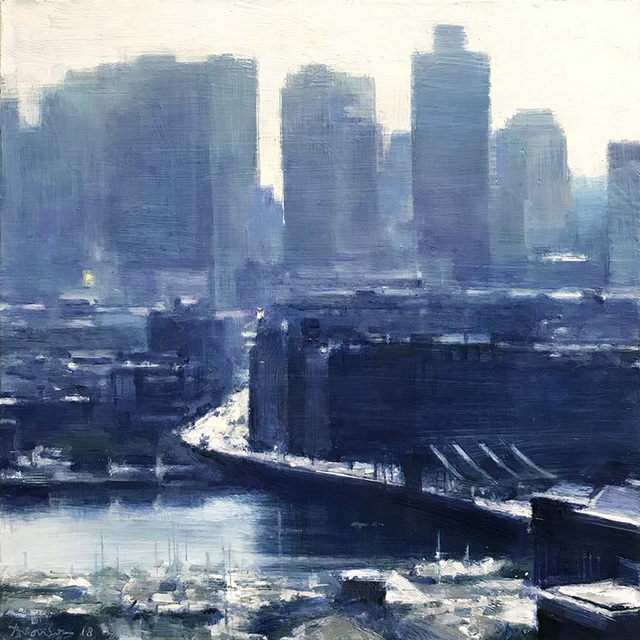 City, harbor and river views inspired by Boston and surroundings. 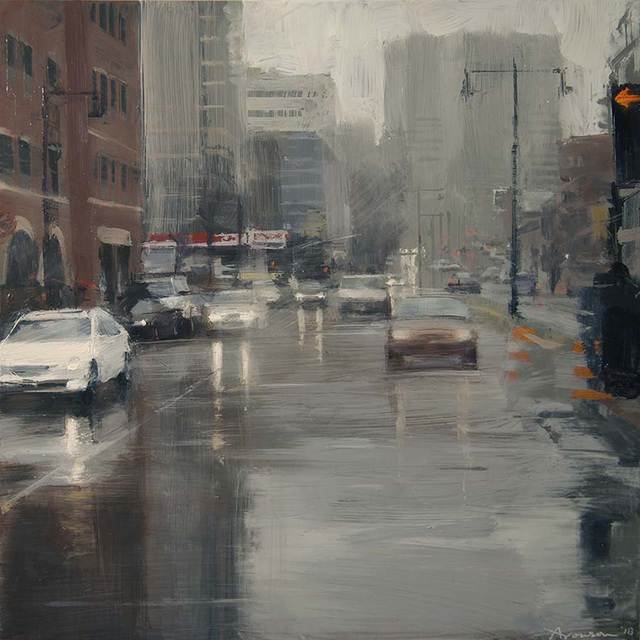 One of Ben Aronson’s signature talents is his ability to capture the essence of a place. 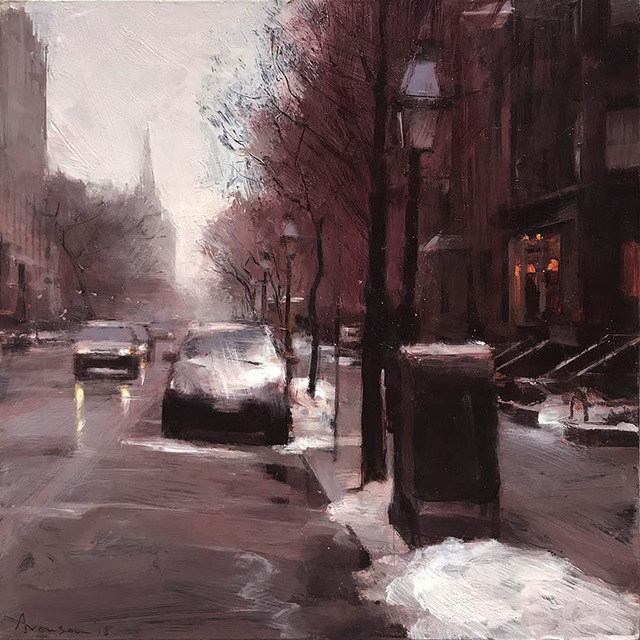 Through his use of light, atmospheric perspective and the rhythm of the brush stroke, he relates to us the experience of “being there.” Aronson, who lives and works in the Boston area, has portrayed urban landscapes around the world: Paris, San Francisco, Rome, and New York, to name a few. 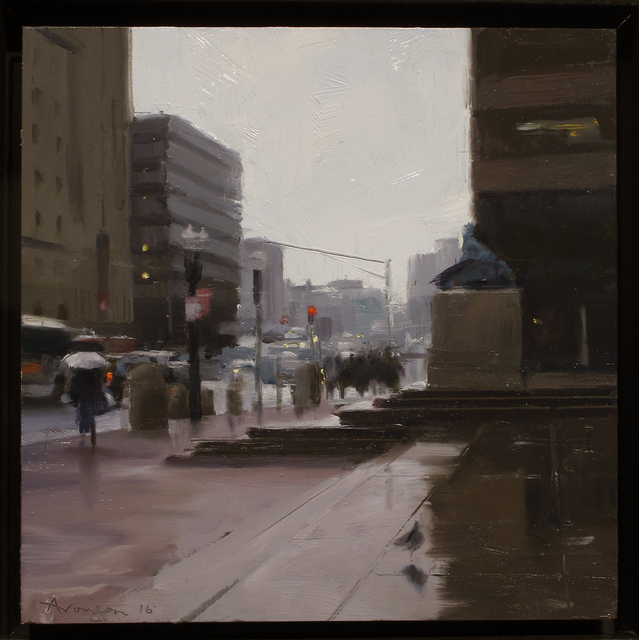 In his current body of work, Aronson turns his focus to Boston, the city that he arguably knows the best. 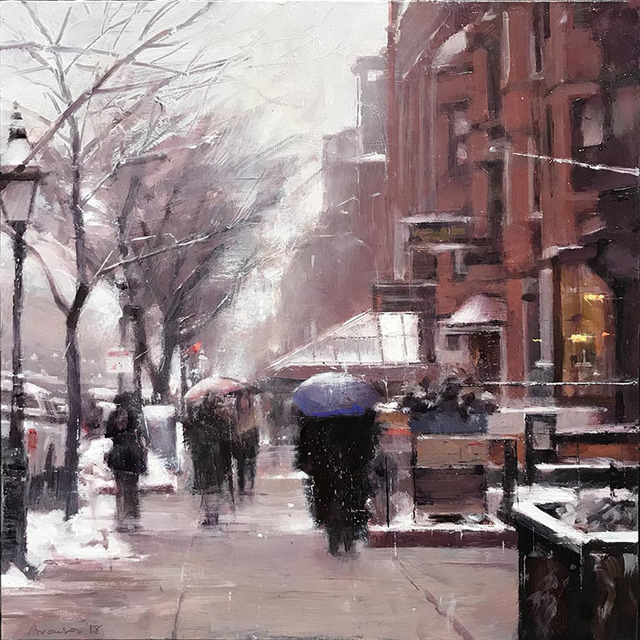 Having grown up in the area and attended Boston University for both undergraduate and graduate school, there is a familiarity with Boston that is both rich and problematic for Aronson. With intimacy comes the desire for perfection. 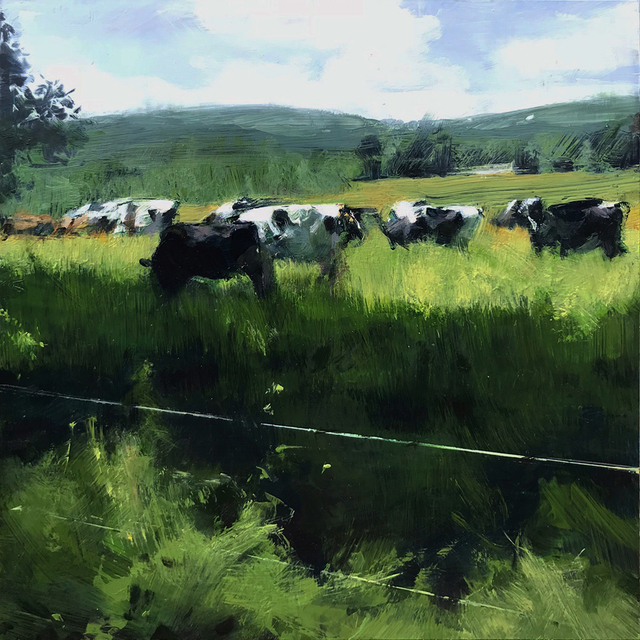 There is the intense need to “get it right” as well as the drive to avoid all-too-familiar tropes. 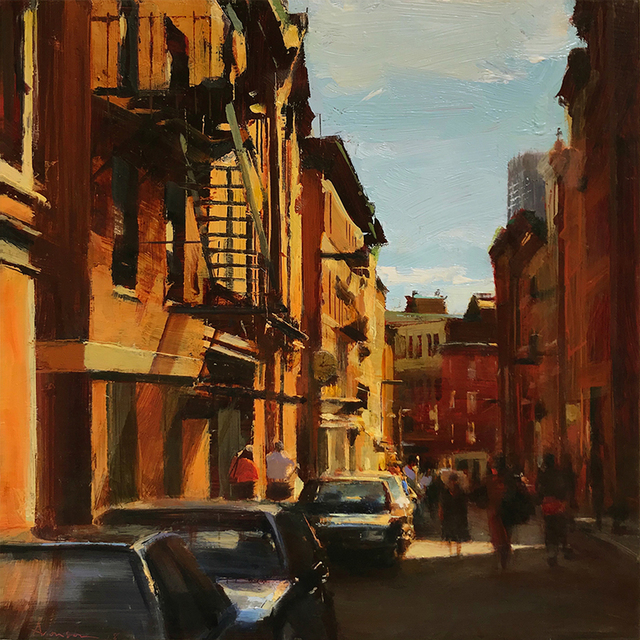 In his views of Boston, Aronson has achieved that balance: capturing essential elements of the city while articulating something universal about the urban experience. 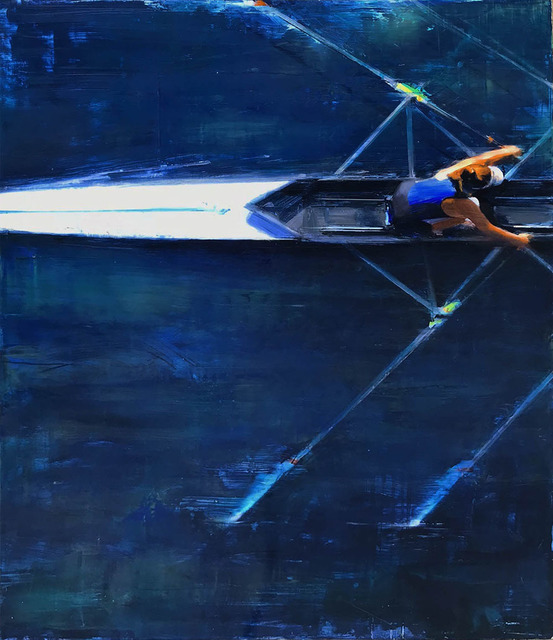 Aronson has also taken a recent interest in sailing and rowing as subject matter. 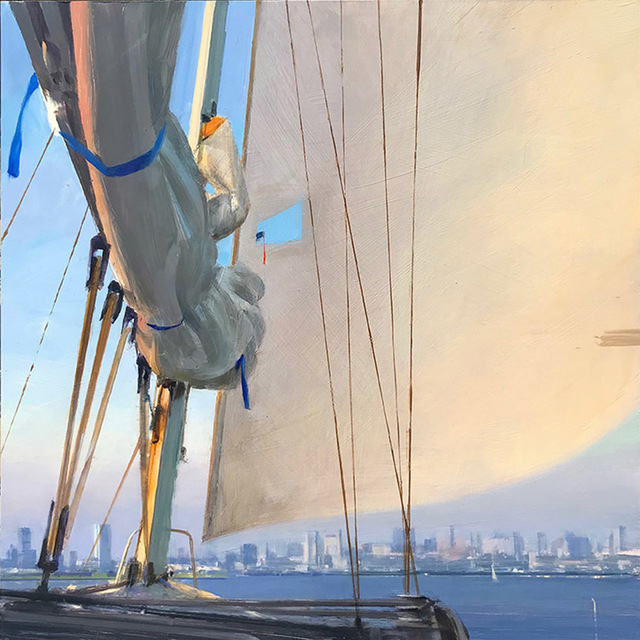 His interest in the geometry of the unfurled sail and the intricate patterns of a crew team working the oars have parallel intentions with his depictions of streets and architecture. And all are means of conveyance. 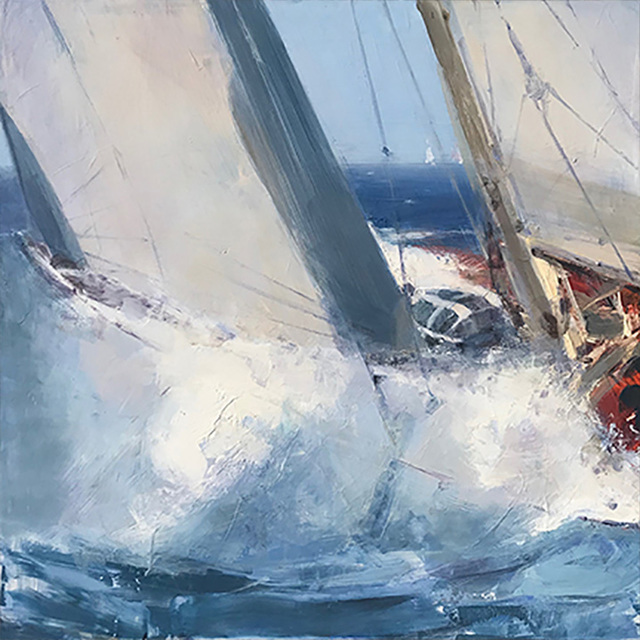 Aronson’s painting "Home Porting” portrays a sailboat heading to shore, heeling in the wind, the bow pointed towards the Boston skyline. 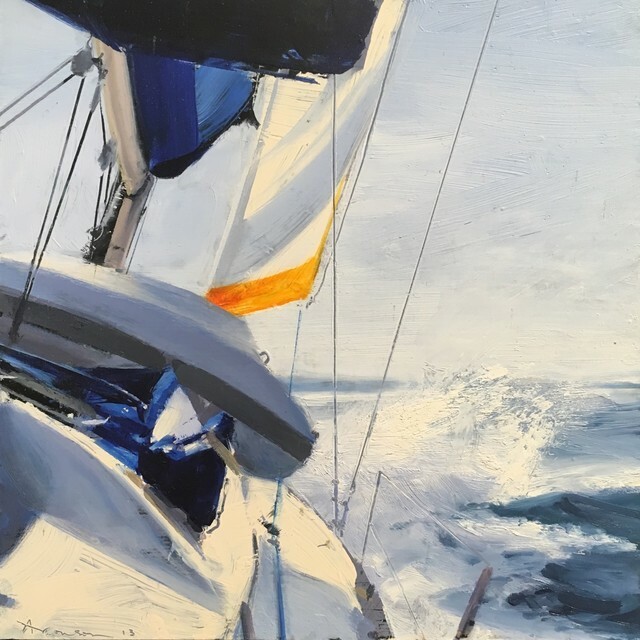 Emblematic of Aronson’s new work, the boat is homeward bound. 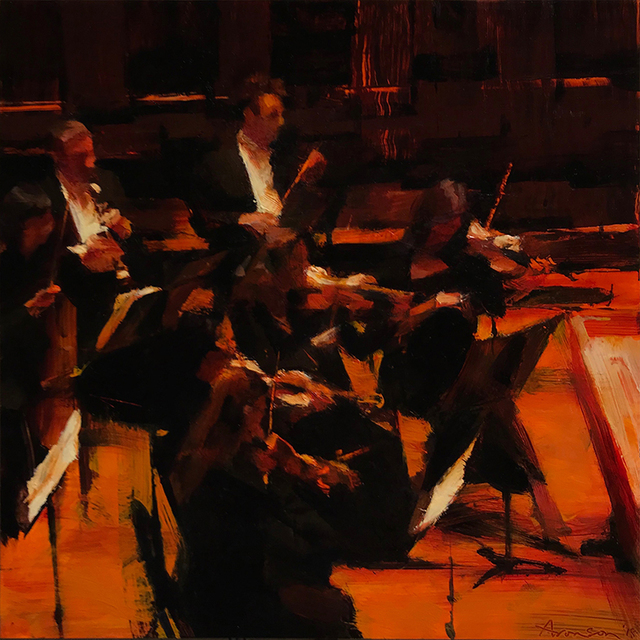 Ben Aronson has been the subject of several museum shows including, most recently, at the Asheville Art Museum, North Carolina; the Georgia Museum of Art, Athens; and the Ann Norton Sculpture Museum, West Palm Beach, FL. 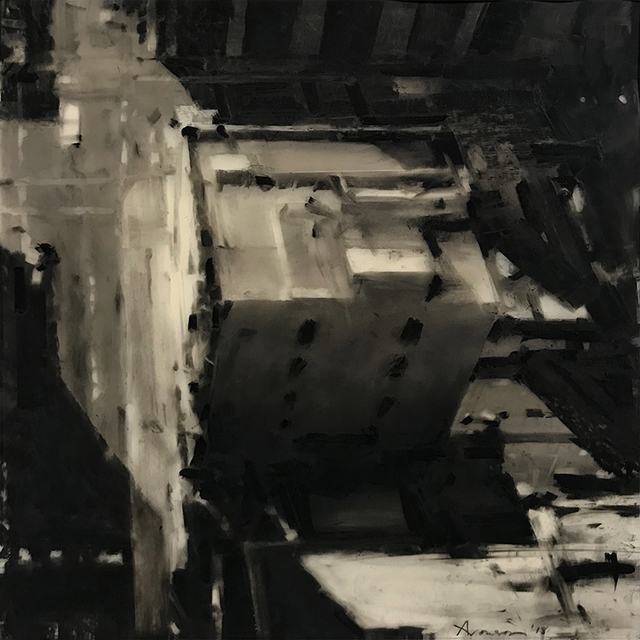 His work is included in numerous collections including the Museum of Fine Arts, Boston; the Denver Museum of Contemporary Art; the Detroit Institute of Arts; and the National Academy Museum, NYC, where Aronson has been an Academician since 2005. 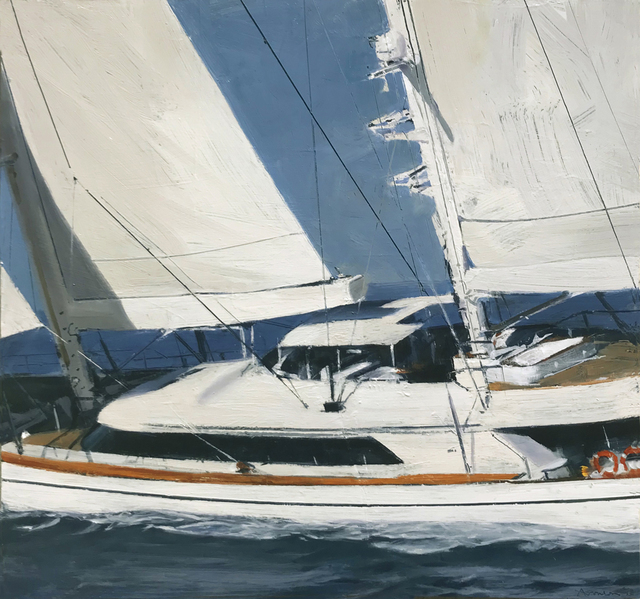 This is Ben Aronson’s sixth solo exhibition at Alpha Gallery.